The holidays are nearly here. Let Current Affairs help you spread the holiday cheer! 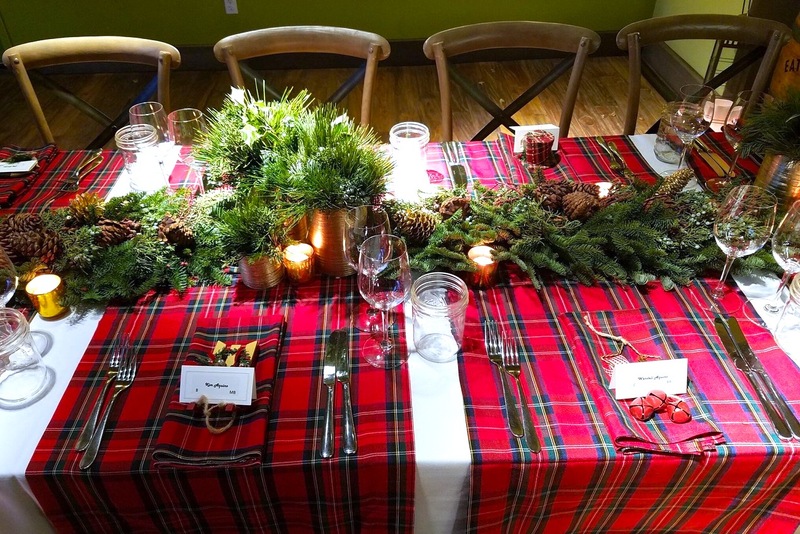 There are plenty of fun and festive ways to bring your Corporate or private holiday Event to life. And, in the spirit of giving and to get you in the festive mood, we’re highlighting a few of our past holiday Events. 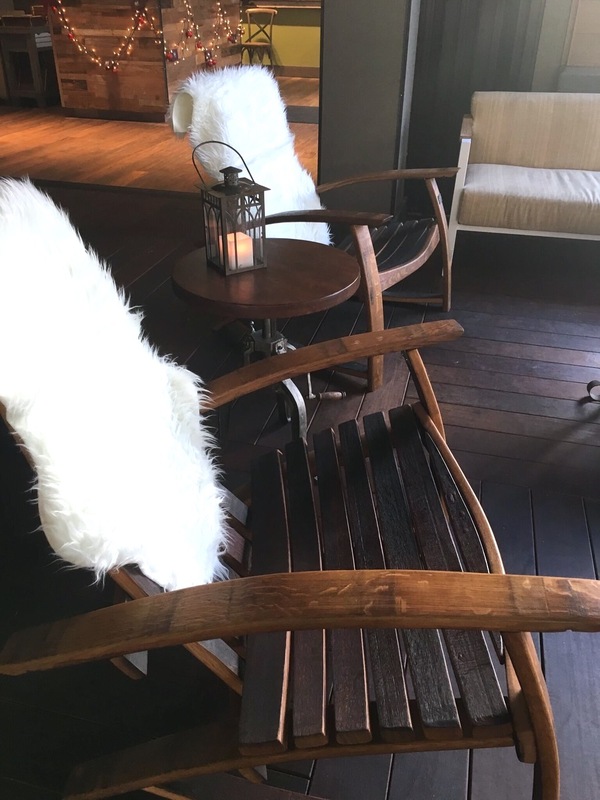 Just because we don’t have snow in Hawaii, unless you make the trek to Mauna Kea, doesn’t mean you can’t create an mountain lodge environment for a festive holiday party. And that’s exactly what we did for our Client! As Guests entered the Event, they were greeted by the sights and sounds one is accustomed to after a fun day on the slopes. The venue was transformed into a lodge with twinkling Christmas lights and ornaments, Adirondack lodge style chairs with faux fur throws, and flickering flame lanterns. And, of course, don’t forget the scent of pine that filled the room. 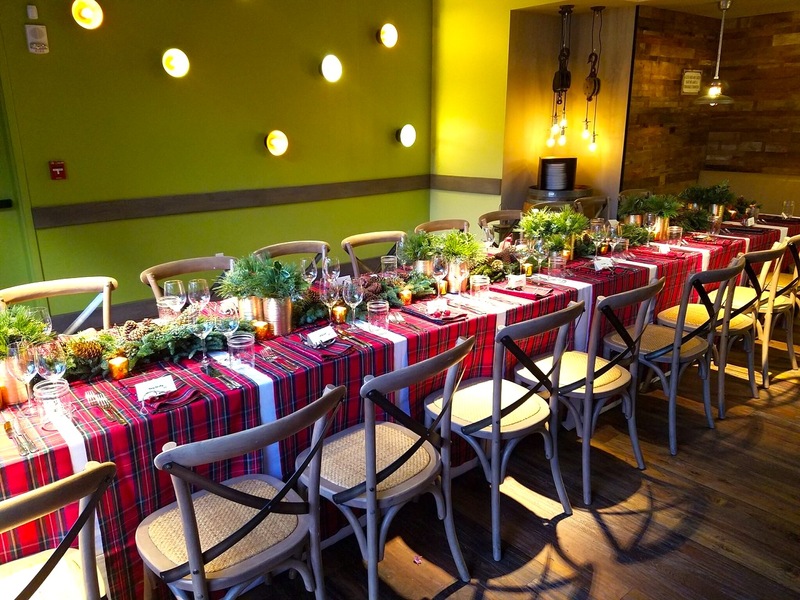 The dining tables were dressed in green and red plaid table runners – laid out to mimic the look of a Christmas present. Evergreen centerpieces and pinecones ran down the center of the table and were accompanied by gold vases and red votive candles. Adorning each plaid napkin was a personalized ornament with a handwritten tag bearing the Guest’s name. 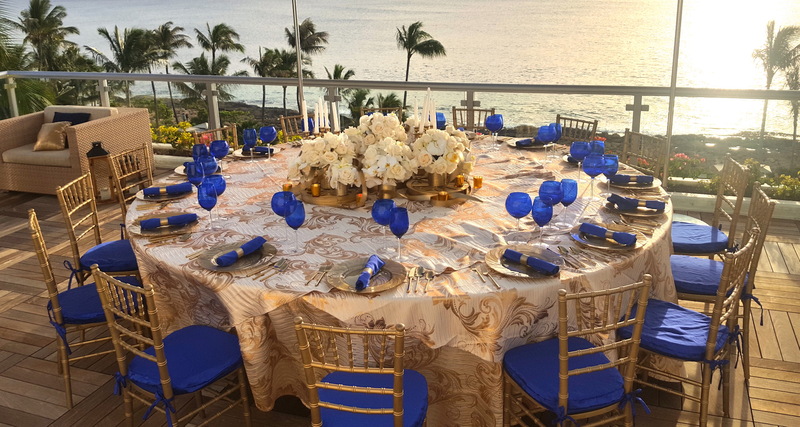 Last year, we added glitz and glamour to a traditional Hanukkah holiday celebration for a Client staying at the Four Seasons Resort Oahu at Ko Olina. We transformed the penthouse suite into a cinematic affair to remember. Guests were invited to a dinner-and-a-movie pajama party. 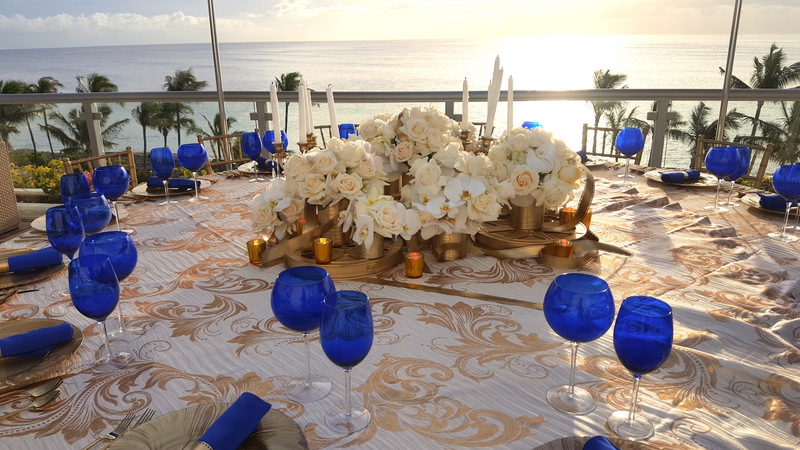 Upon arrival, they were escorted to the penthouse’s rooftop lanai for a private dinner party. 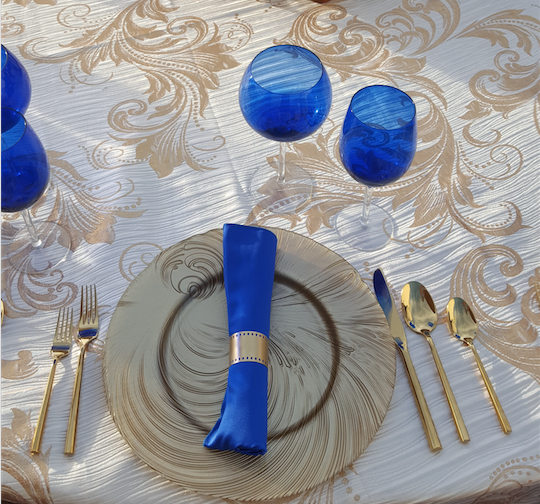 Dining tables were dressed in gold and white table linens, and cobalt blue goblets added a pop of color. 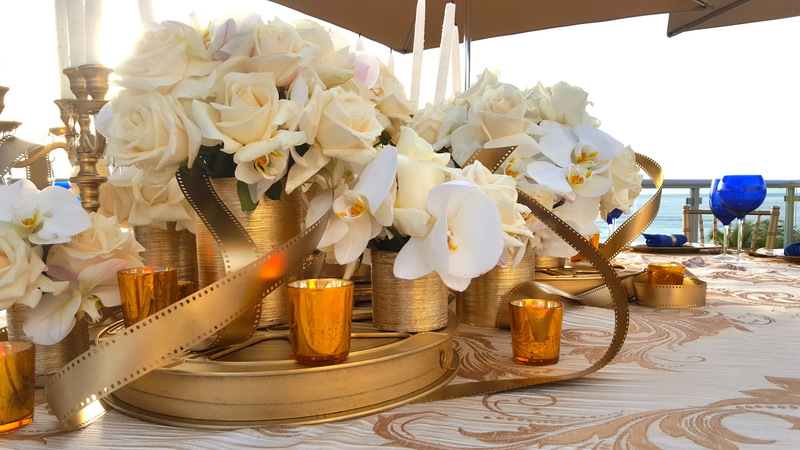 Our Design Team created customized centerpieces by weaving gold accented film throughout white roses and orchids. 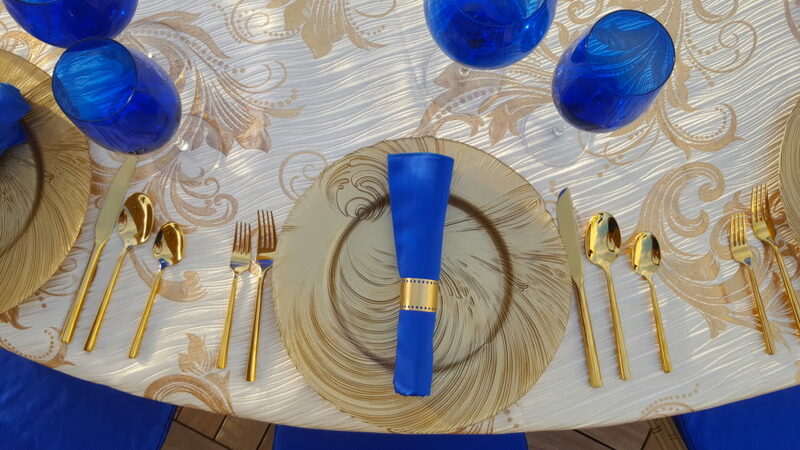 Gold accented film reels were used as risers and gold candelabras tied the design back into the Hanukkah theme. Don’t let the thought of a holiday party overwhelm you this season. Leave the details to us! Our Team of experts know how to plan and produce Events to fit every need. For assistance, please give us a call!